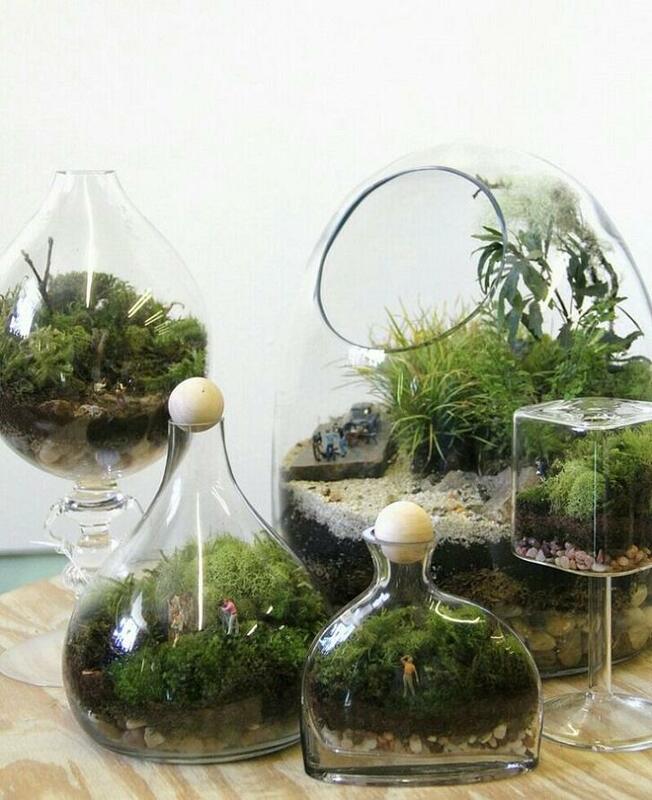 Terrariums are one of the most spectacular ways of indoor gardening. Ornamental, immaculate in appearance, requiring minimal maintenance, but at the same time bringing us closer to nature, like classical gardens, these floral compositions in glass containers find more and more admirers among professional gardeners, designers and fans of miniature gardens. 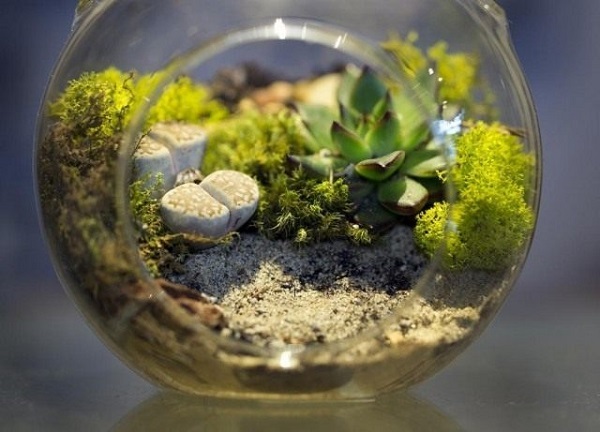 Despite the fact that decorative elements are also important, plants remain the soul of terrariums. 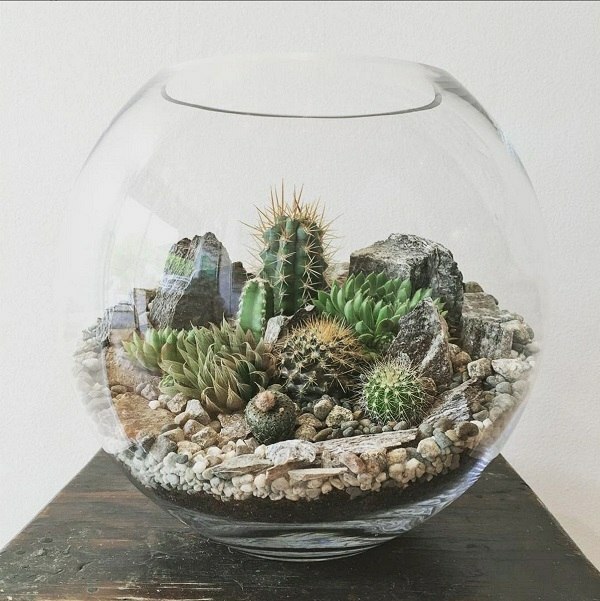 How to choose terrarium plants and arrange beautiful compositions? We shall help you understand the basics of these plants, the most popular species and the care requirements, we shall give you some useful tips how to create expressive, bright and stylish compositions to decorate your home. 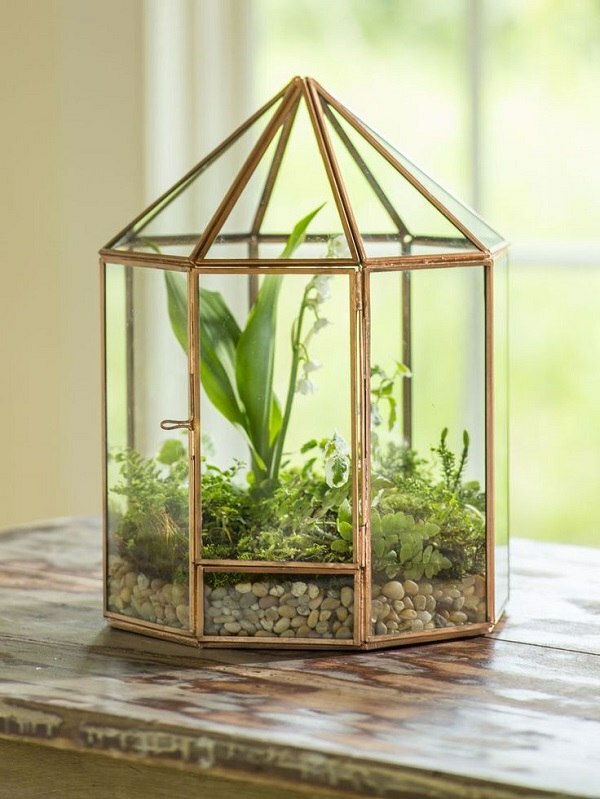 The huge popularity of terrariums is based on the fact that they take up little space and can be placed anywhere in an apartment or on small window sills. 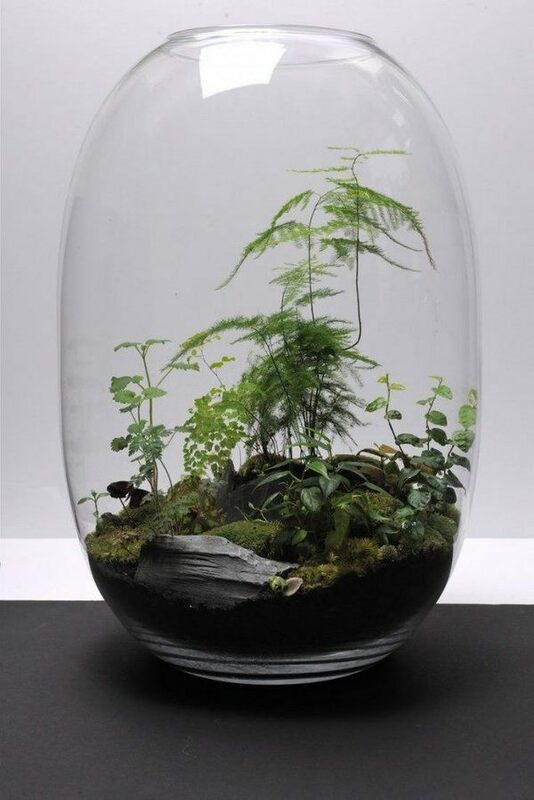 By definition, terrariums are transparent containers with a narrowed inlet located on the side or on top. They can be placed on the table, on the floor, many are designed to be hang on walls, so there are many models available on the market, but if you want to arrange your own composition any glass vessel will do – bottles, flasks, jars, etc. 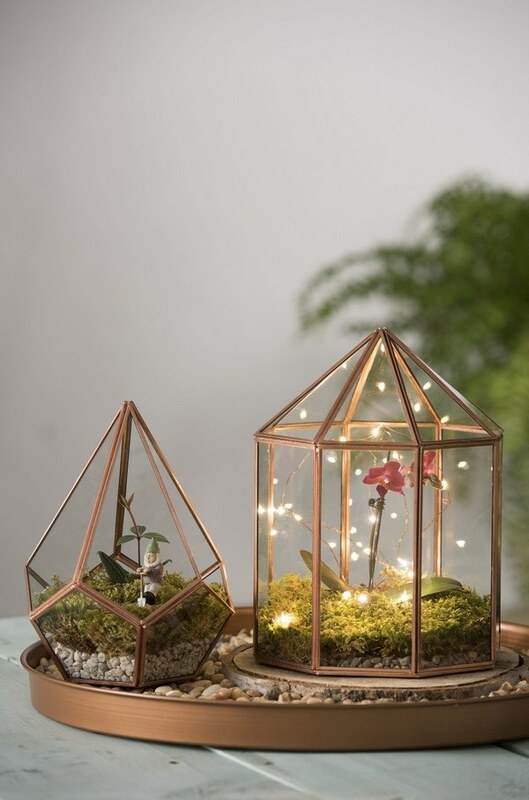 Of course, there are certain rules that one need to follow – you need to maintain constant light, humidity and temperature, so that the plants in the terrarium, do not depend on natural heat and light. 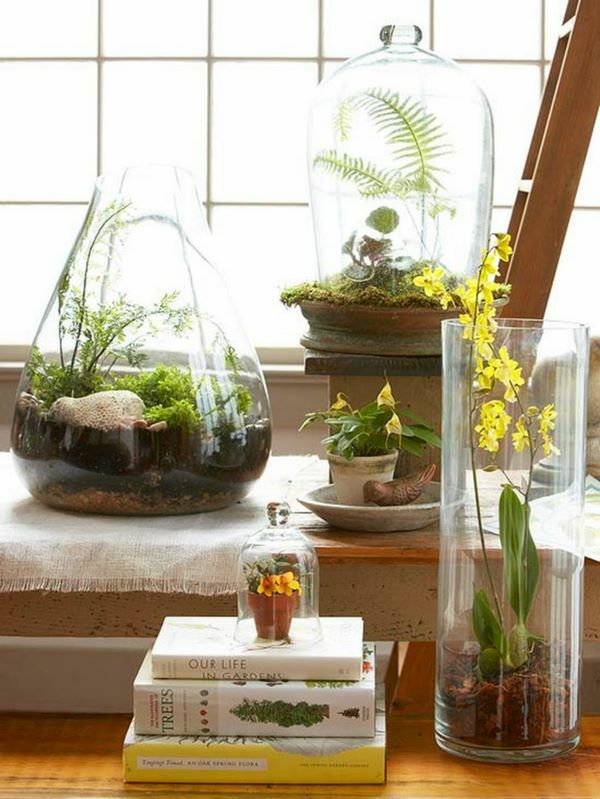 Terrarium compositions look original and stylish, but plants must be transplanted periodically. There are many designs combining a variety of plant species and decorative elements and we have selected some of the most beautiful compositions in the gallery below. 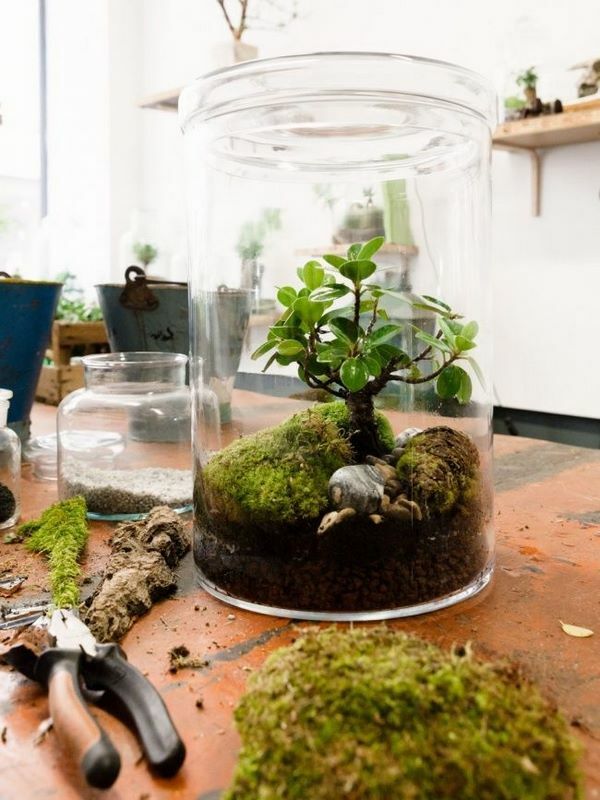 So, we come to the main question – how to choose terrarium plants? There are some general recommendations which will help you select the right species. 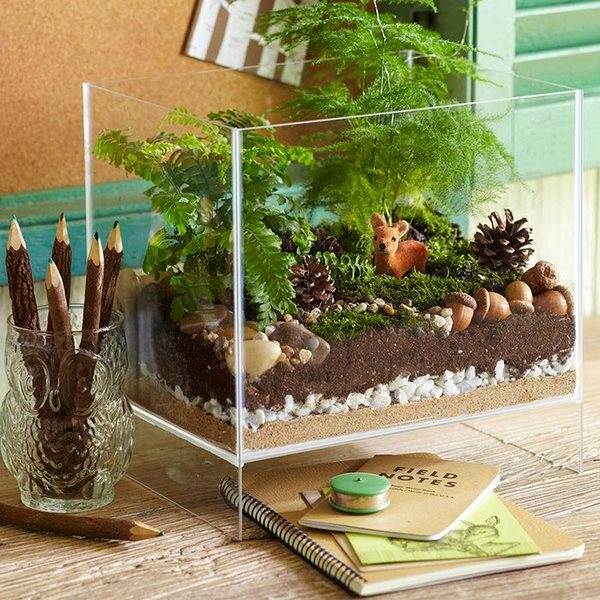 Before choosing the plants for your terrarium you need to be clear for the purpose of the composition, for example, is it going to be a table decoration or you want one for your porch? You need to know the size of your container and select plants that will easily fit inside it. It is advisable to choose and combine slow growing species that need similar conditions. Some species like moss and ferns can be found in the forest and there are many species that you can find in plant nurseries and flower shops. 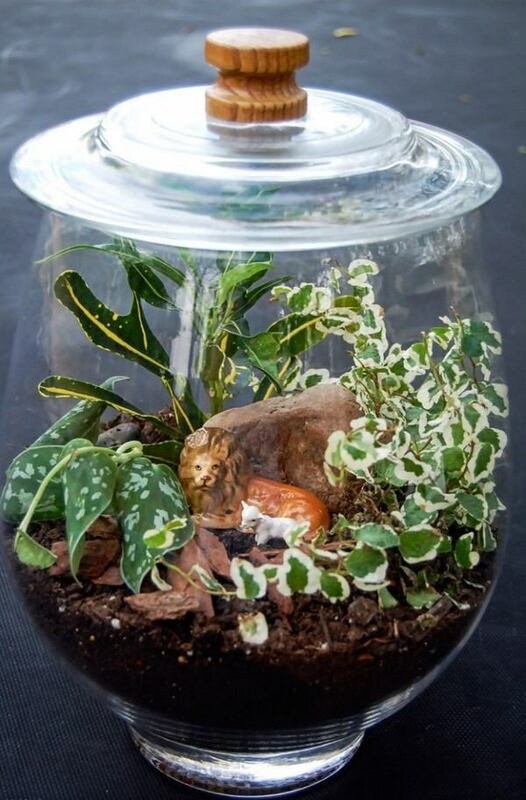 How to choose the perfect terrarium plants? What are the most popular species and what do you need to know? There are several large groups of plants that are suitable for terrarium designs – succulents, cacti, ferns, mosses, flowering plants, etc. Moisture-loving plants requiring stable or high humidity of soil and air. Succulents and cacti that require minimal care. Miniature ferns like Asplenium, Pteris, Adiantum can be grown by themselves or combined with mosses. Ferns are a great background for other plants as well. 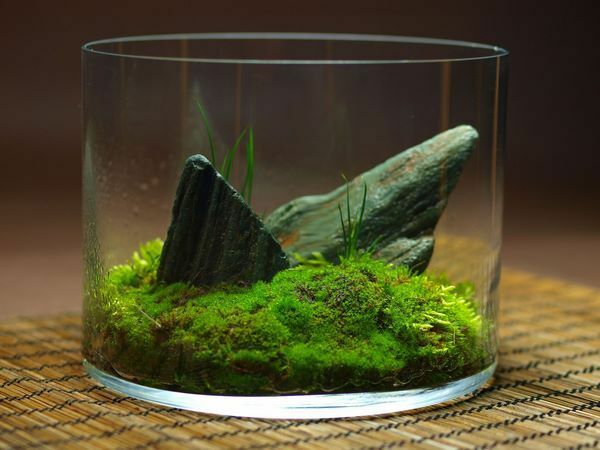 Mosses are a large group of species used not only in terrariums but in aquascaping as well. They require constant humidity and rather moisty conditions. It is also advisable to use acidic soil which must be layered over a common substrate. Sphagnum (Peat moss) creates a dense and very bright coating and is among the most popular species. Other recommended species are Campylopus introflexus, Climacium americanum, Dicranum scoparium, Hypnum imponens, Thuidium delicatulum. Crotons are another large group of plants suitable for terrariums. Their leaves with beautiful colors and patterns add visual interest and color to any composition. It is true, that when we say crotons we imagine large varieties with massive leathery leaves, but there are compact species with narrow and smaller and these are the dwarf varieties, for example, gold dust croton. You need to keep in mind that crotons like bright light, so it is best if you grow them in open containers. Cacti come in a huge variety but in order to thrive, they need regular airflow and low humidity. 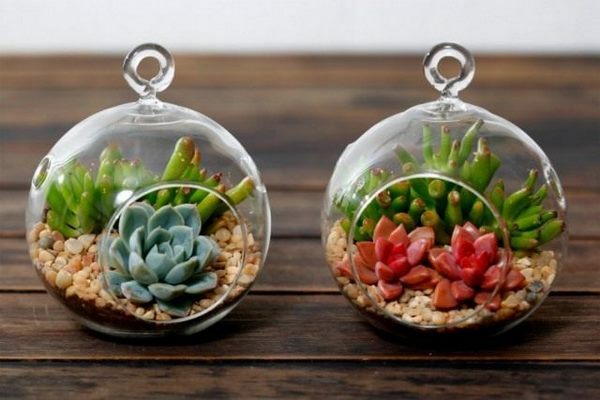 Their ability to live in almost completely dry conditions makes them ideal terrarium plants and whether you choose to combine only cacti species or add succulents, you will have a wonderful mini garden. Cacti are the choice when you want to arrange desert landscapes with minimal imitation efforts. Astrophytum, Echinocactus Grusonii, as well as Mini Echinocactus Grusonii, Gymnocalycium Mihanovichii (Yellow Top Moon Cactus) are just some of the species that you can choose from. 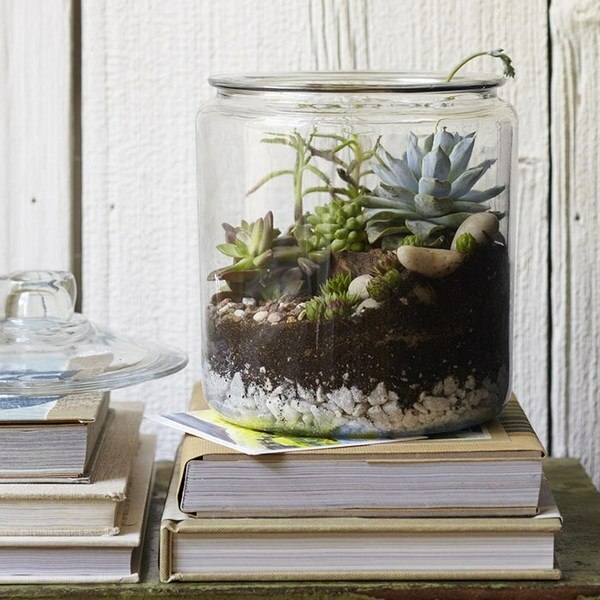 Succulents are ideal as terrarium plants. They prefer a low level of humidity and good draining, so it is better select an open container so that there is a good airflow. Sempervivum, Echeveria, Agave, Aloe, Haworthia – these are among the most popular succulent varieties for terrariums. 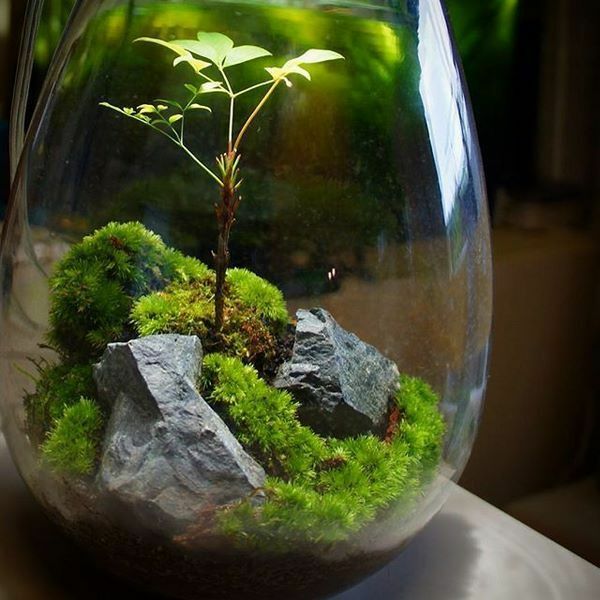 The post How to choose terrarium plants and arrange beautiful compositions? appeared first on Deavita Interior design and Architecture Magazine.